The Northeast Ohio Areawide Coordinating Association has awarded a $100,000 Transportation for Livable Communities Initiative Grant to Laketran to be used for the planning of the Vine Street Corridor. 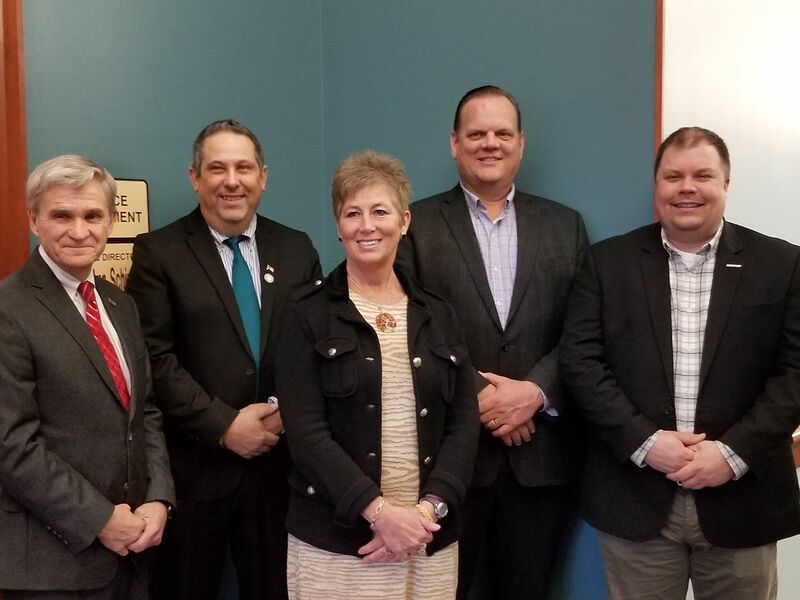 The grant was announced recently by Mayors Dennis Morley of Eastlake, Rich Regovich of Willowick and Bob Fiala of Willoughby along with Laketran CEO Ben Capelle. The Vine Street Corridor runs through the three cities. According to Regovich each of the four involved entities has approximately $5,000 in so it makes the total about $120,000. “Mayor Fiala tells me that is enough to plan Vine Street from Willowick to Downtown Willoughby,” Regovich said. “So, we are excited about that. The plans, once completed, will include bringing new streetscape, lighting and transportation down the entire corridor to make it friendlier for businesses, Regovich said. It could also include housing projects. The corridor which runs from Erie Street in Downtown Willoughby to Lakeshore Boulevard in Willowick touches on Classic Park in the middle. Morley believes that they have to bring Vine Street up to today’s standards. “We have to make this a destination: Eastlake, Willowick, Willoughby destination,” he said. Fiala sees the the public transportation component as a huge economic development tool. Monica Drake, Willowick’s economic development director, thinks it’s wonderful that Laketran was able to come to the table as it helps all three cities work together. Morley points out that this isn’t going to happen overnight but that the four entities plan to keep moving forward. According to Drake, the three mayors will select a firm to draw up the plans and the fall and that planning could take up to a year to complete. The mayors are planning to hold public meetings to get input from residents and Vine Street business owners. “The current grant, (Regovich) wrote for NOACA for the lakeshore development ties so nicely into that study, they dovetail together,” Drake said referencing the planning grant. “What we do in Willowick at the lakefront and Lakeshore show that we are thinking about Vine Street and that we are also thinking about Eastlake and Downtown Willoughby. Fiala points out that it is a way of sharing resources. Each city doesn’t have to build the same thing. “We can do it in one city and use the transit to share the resource,” he said.